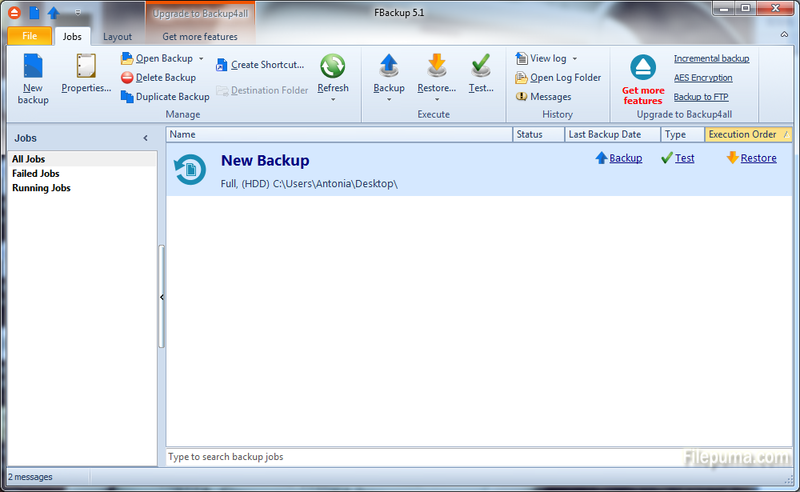 FBackup is a free backup software for both personal and commercial use. It protects your important data by backing it up automatically to any USB/Firewire device, local or network location. With a simple two-part interface and a wizard that explains each step, it’s about as user friendly as backup utilities get. You can choose either an external device (recommended) or a network location to store your backup. 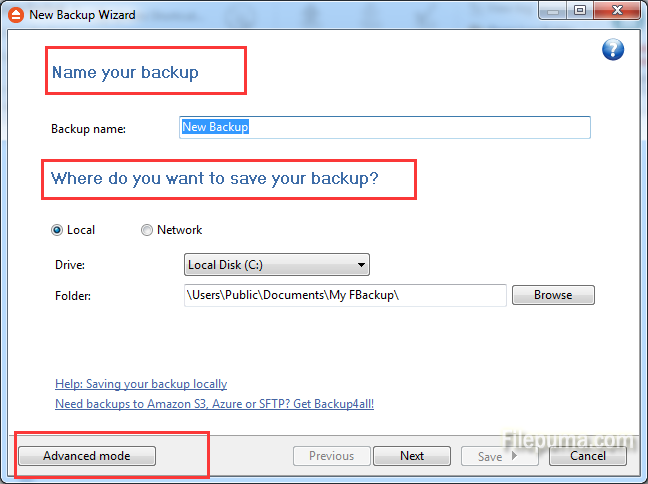 Here is an instruction to let you know how to use FBackup to backup files. 2. 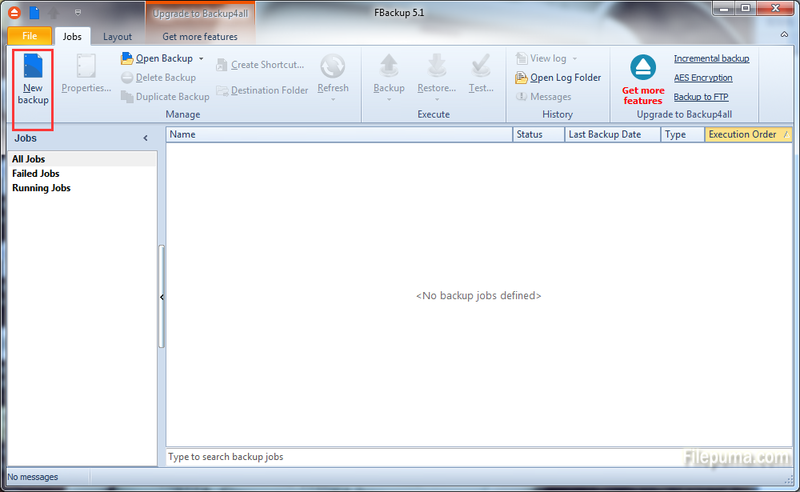 Click on “New backup” button on the top left. 3. 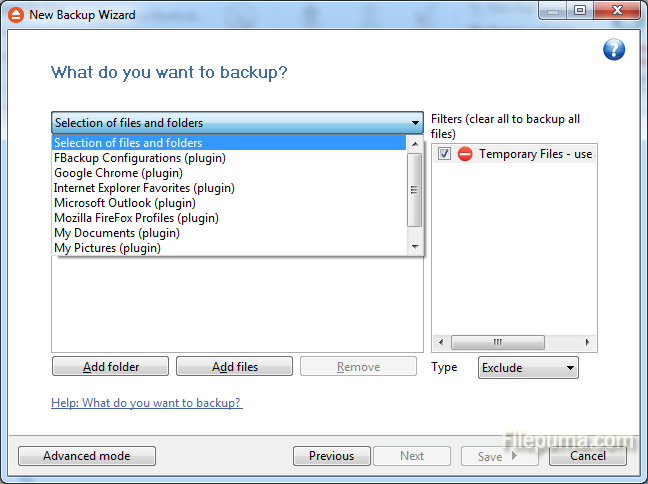 Enter the backup name you want, and then you could choose the location to save your backup. Here you could also do some advanced settings by clicking on “Advanced mode”. 4. Click “Next” to go on, add folder or files to choose the files you want to back up. Click “Save” or “Save and run” to start the process.